This was a quick and dirty user-upper brew. As beer stocks were looking low, there were a couple of bags of old hops and some ageing Crystal, Carapils and WLP001 knocking around, Kev couldn’t resist the temptation to put a nice and simple solo brew together. The intention was for an easy-drinking, 5-5.5% APA. The was something quite comforting about planning a bit more of a back-to-basics, simple drinking beer too. Quite a few of the more recent brews had contained a lot of wacky flavours, with varying degrees of success. Now, much as Kev loves wacky as much as the next person, there was a definite appeal in trying to pin down a solid, go-to recipe. This sort of lower risk brew was also an opportunity to work on a couple of things. Firstly, three of the previous four brews have been outrageously overcarbed and the suspicion was this was down to overpriming. This beer would be deliberately primed more frugally to see if that was the problem rather than an infection in the brewkit somewhere. 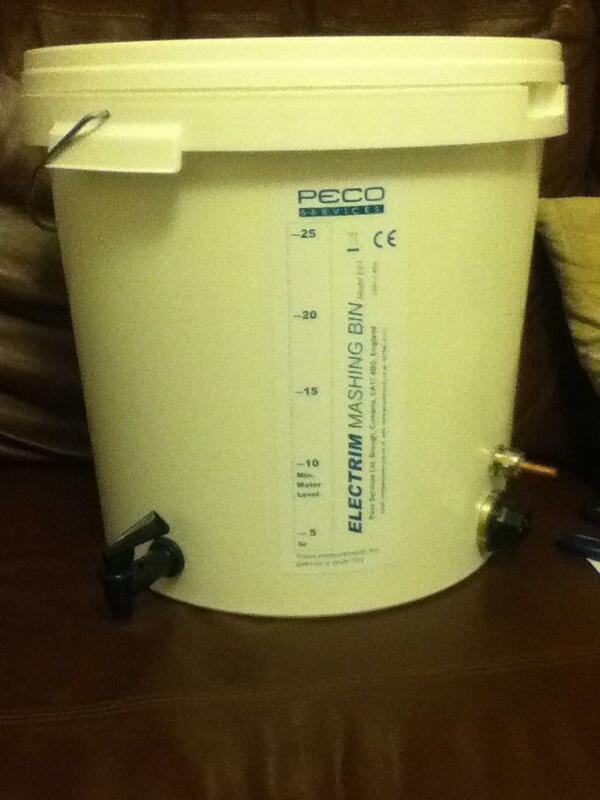 It was also the first brew done across two nights, with the mash & sparge done one evening with the boil, pitch, etc. done the next day. The hope behind this was that it would be a more time/family compatible way of getting a batch brewed. This was a very straightforward brew all things considered. Nothing remarkable other than splitting the brewing across two nights. Which was brilliant, by the way. It takes a bit longer all in (prob about 20-30 mins to get room temperature wort up to mash temperature), but it’s all a lot more relaxed. Couple of hours each night – where I can also pick away at those less glamorous, household jobs I’d be doing anyway – with the brew doing its thing in the background works really well if, like me, you can’t even think about getting started until about 8pm. I will definitely be doing this again. Thanks for reading. Questions, comments, etc. always more than welcome. Cheers! You may have noticed from the stats above that this beer didn’t end up quite as expected. 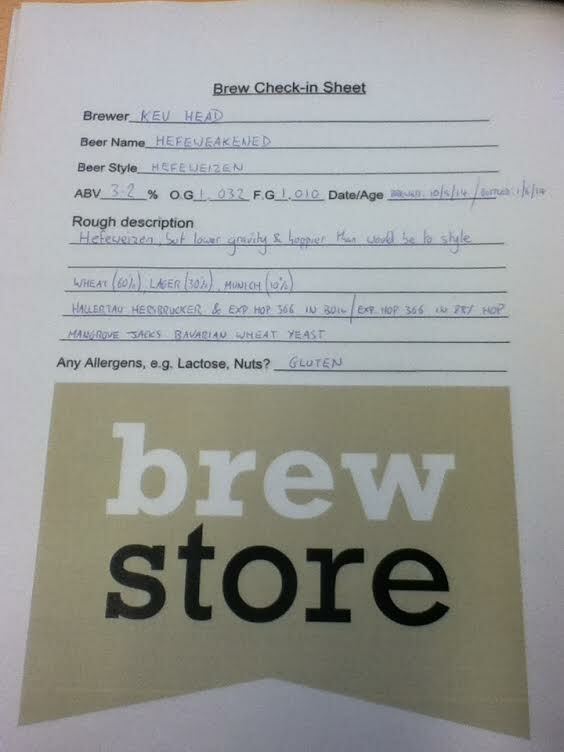 Kev’s gentle 5%ish APA turned into some kind of accidental 6.6%er. He’s just going to call it an IPA and say no more about it. This was down to the yeast really and it attenuating much further than anticipated. It was fermented warmer than was ideal (c.25C) and the second generation WLP001 was clearly very happy with that. So it ended up being a drier, stronger beer than planned, but that’s no great problem. If this was the intent, Kev would have increased the IBUs but, actually, it turned out plenty bitter anyway. The beer itself was a little underprimed but, actually, that was good news. There were two main theories as to what the likely cause of our recent, foamy beer was… infection in the kit somewhere or too much priming sugar. As dropping the amounts of priming sugar resulted in no foamy beer, this must have been the culprit. Just need to pay a bit more attention to sugar quantities when bottling, I think. We’d generally agree. It could be more bitter, and the slightly odd New Zealand hops might not be to everyone’s taste, but this is pleasant drinking and deceptively strong. A solid recipe to work on. Plan from here will be to tinker with the grain bill for a while and try and pin down a decent base IPA recipe from there. This entry was posted in Uncategorized and tagged APA, BIAB, Dr Rudi, Experimental Hop 366, Green Bullet, homebrew, WLP001 on August 15, 2014 by bagboilbeer.